Do you like to be treated like a VIP when you check into a hotel? These are the guests who have a special priority line for check-in, and are offered perks like room upgrades, late checkouts, and even free breakfast and internet. Normally these perks are reserved for hotel's most frequent guests, but anyone can enjoy these benefits if they hold the right credit card. 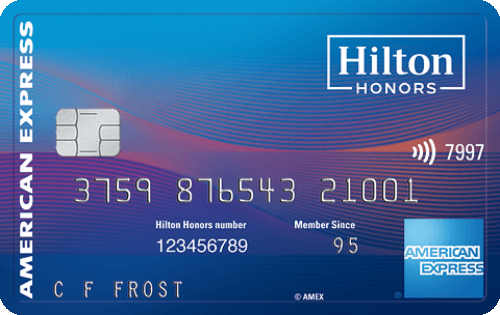 The Hilton Honors American Express Ascend Card provides Hilton fans with Hilton Honors Diamond status through the end of the next calendar year if you spend $40,000 on eligible purchases within a calendar year. You also earn 12X Hilton Honors Bonus Points for each dollar spent with a participating hotel or resort within the Hilton Portfolio, 6X points for each dollar spent at U.S. restaurants, U.S. supermarkets, and U.S. gas stations, and 3X points for all other eligible purchases on your card. New cardholders can earn 125,000 Hilton Honors Bonus Points after you spend $2,000 in purchases on the card within your first 3 months of card membership. Terms apply. The annual fee is $95. See rates and fees. This card grants all cardholders Discoverist status in The World of Hyatt program, which features preferred room upgrades, complimentary internet access, expedited check-in service, and a 2:00 pm late check-out upon request. Cardholders earn up to 9 points per dollar spent at Hyatt hotels and resorts, two points per dollar spent at restaurants, on airline tickets purchased directly from the airline, on local transit and commuting, and on fitness club and gym memberships. One point is earned for each dollar spent elsewhere. Finally, get one free night each year. Hyatt offers any unsold standard room as an award, with no blackout dates or capacity controls, starting at just 5,000 points per night. New cardholders can earn up to 50,000 bonus points — Earn 25,000 bonus points after you spend $3,000 on purchases within the first 3 months of account opening, and an additional 25,000 bonus points after you spend $6,000 total on purchases within the first 6 months of account opening. There is a $95 annual fee for this card. The IHG® Rewards Club Premier credit card offers all cardholders Platinum Elite status in the IHG Rewards program, which covers Intercontinental hotels, Holiday Inn, Crowne Plaza, and several other brands. This status level features free Internet, priority check-in, an automatic 10% points rebate on redemptions, room upgrades, and more. The credit card offers 10 points per dollar when you stay at an IHG hotel, 2 points for purchases at gas stations, grocery stores, and restaurants, and one point on all other purchases. 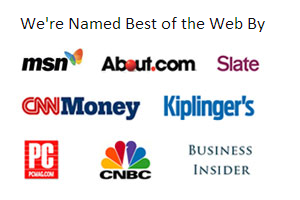 Additionally, get a free night each year of card membership at over 5,000 hotels worldwide. New cardholders can earn 80,000 bonus points after spending $2,000 on purchases within the first three months of account opening plus an additional 40,000 bonus points after spending a total of $5,000 on purchases within 6 months of account opening. The annual fee is $89. Information related to The World of Hyatt Credit Card and the IHG® Rewards Club Premier Credit Card from Chase has been collected by Wise Bread and has not been reviewed or provided by the issuer or provider of this product or service.